MLB’s Spring Training is technically underway tomorrow. Whether a Cubs fan or a White Sox fan, we can all agree on one thing, spring is almost here. As the weather starts to warm up (fingers crossed), we are getting warmed up for the kickoff of our 36th year building custom garages for Chicagoland homeowners. Traditionally, Blue Sky Builders has kicked off its construction season on March 1, and this year will be no different. Phone calls are starting to flow in from customers throughout the area looking to make valuable improvements to their home’s value in 2015. Whether you live in Aurora, Algonquin, Tinley Park, or Zion; Blue Sky Builders is ready to help you make the much-needed improvements you may have been putting off. Your door is the face of your home. After time, doors can become dinged, dented, scratched, faded, and like windows—drafty. If your entry doors are in a desperate state, you are not only detracting from the beauty of your home, but the value and energy efficiency. Blue Sky Builders offers top quality secure steel entry door systems in different panel styles, colors, decorative door lights, matching sidelights and glass designs available for your house and garage. Did you notice this year that your windows are a bit more drafty than last? According to the U.S. Department of Energy, reducing drafts in a home can result in energy savings that range between 5 and 30 percent per year; so why not make 2015 the year you finally put off the procrastination, throw out the plastic wrap, and save yourself some money on your heating bill? If you procrastinate, you may forget. That is, until it’s negative eight next year and you’re freezing cold regretting your indecision. Blue Sky Builders offers a full range of window styles including single-hung, double-hung, fixed glass, sliders, casement and awning windows. Backed by a lifetime-limited warranty, our new windows can help you keep the cold out in 2016 (and 2066). Discouraged by Your Dilapidated Garage? 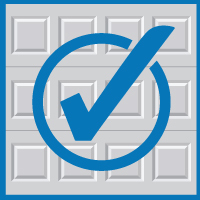 We couldn’t go without mentioning our specialty, helping make your garage the most beautiful part of your home. 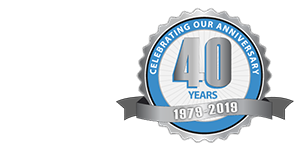 Whether Gable, Gambrel, Hip, or a Custom Garage, we can help you to improve your home’s value with a new garage. Check out our gallery, our highly satisfied customer testimonials, and contact us for more information.